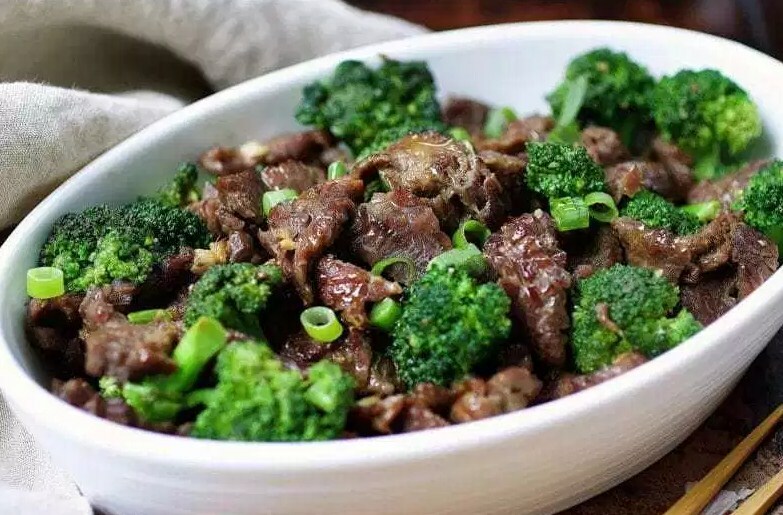 Paleo beef with broccoli. Whole30 and Keto beef with broccoli. Paleo asian food better than takeout. Simple and easy paleo chinese food. Perfect for make ahead meals ! 1/4 tsp baking soda Baking soda is whole30 friendly. See notes section. Slice beef into about ¼ inch thin. Marinate thin sliced beef with ingredients under “beef marinade”. Mix well. Place broccoli florets in a microwave safe container. Add 1-2 tbsp water. Loosely covered with a lid or wet paper towel and microwave for 2 mins. Cook until broccoli is tender but still crunchy. Set aside. Heat a wok over medium heat w/ 1 ½ tbsp ghee. When hot, lower the heat to medium, add garlic and ginger. Season w/ a small pinch of salt & stir-fry until fragrant (about 10 secs). Turn up the heat to medium-high, add marinated beef. Spread beef evenly over the bottom of the saute pan and cook until the edge of the beef is slightly darkened and crispy. Do the same thing for flip slide - about ¾ way cooked through with slightly charred and crispy surface. Add “Sauce Combo”. Stir-fry about 1 min. Add broccoli. Stir-fry another 30 secs. Toss everything to combine.